I have two Vacumatic Imperials to tarde. Both are full size restored pens. 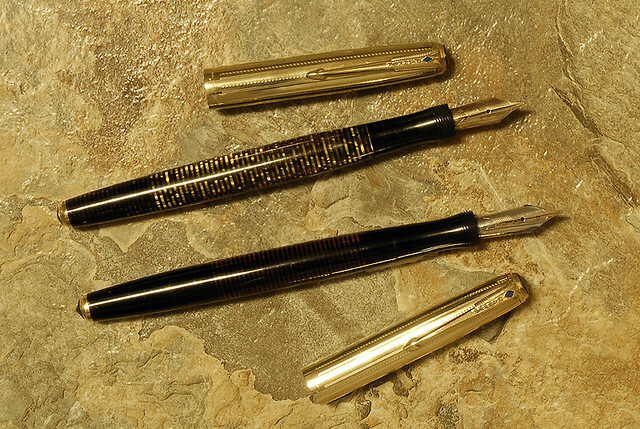 One is Golden Pearl and the other is Black, both have five nibs. The black has a small ding in the cap that is nicely hidden behind the cap. I am looking for an Omega Seamaster Professional automatic. If you are intrested let me know and we can swap photos. Edited by NABodie, 07 May 2011 - 12:56.